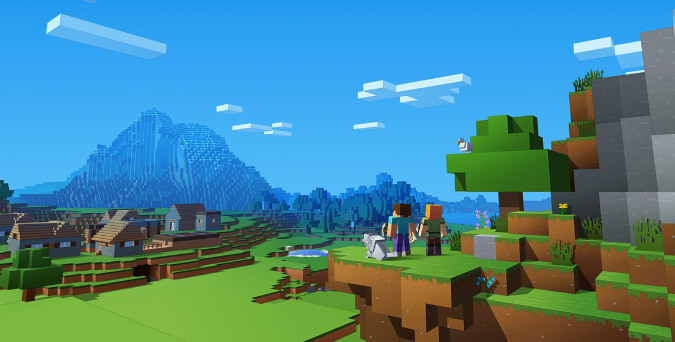 While some institutions regard Minecraft as an excellent tool for educational purposes, there are some that block Minecraft through their firewall. They view the game as a major distraction for their students or employees. Thankfully, there are still ways that you can gain access to the website and build to your heart’s content. When you install one of the best VPNs to unblock Minecraft, you’ll be able to play from anywhere; work and school included. Depending on which type of block you’re facing, some of the following fixes might help you get back on the game. 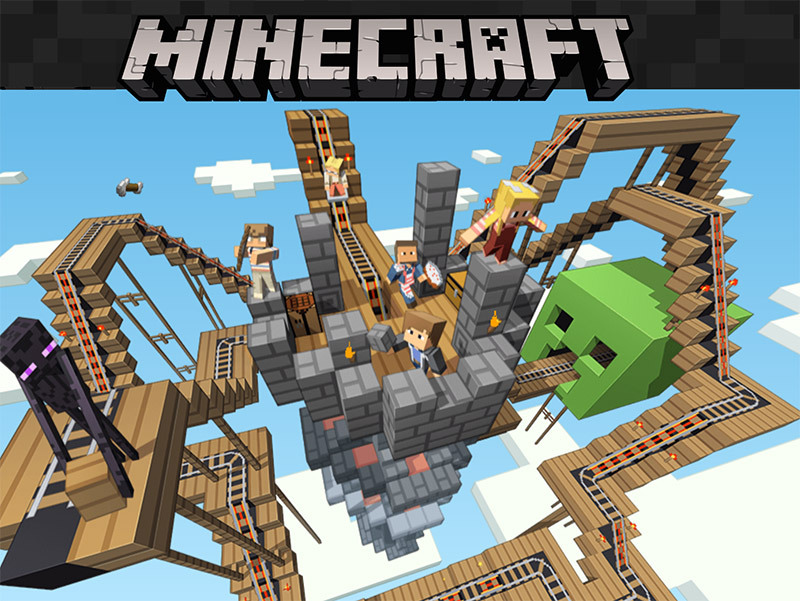 Some institutions utilize DNS filtering while others block ports, however, the most common block is to prevent users from downloading Minecraft. Some blocks are easier to work around, while others require some additional skill. Some filtering systems are fairly basic and can be easily stepped around just by typing an extra letter into the url. Depending on how comprehensive the firewalls at your office or school are, you may be able to sneak past and download minecraft by searching the HTTPS site rather than the HTTP site. So try typing https://minecraft.net and see what happens. MCVersions.net is a great way to bypass your school’s or work place’s online security as its a site often unknown or forgotten by those setting up the firewall. By searching for Minecraft on this website, you’ll be able to download the application from Mojang without ever having to directly visit the site. This is a good way to forgo visiting any sites that may be blocked by the firewall you’re up against and is one of the best options if your office or school is monitoring the sites that you’re visiting as it will cause less suspicion. First, you’ll need to install Minecraft on your home computer and then make a copy onto a USB drive or SD card. You then want to transfer the installation files from the USB or SD to your school or work computer and follow the steps as usual. With any luck, this should allow you to play Minecraft to your heart’s content. The Tor Browser allows you to access the internet anonymously from any computer, as it encrypts your data and traffic making it unrecognisable to any prying eyes. Therefore, the firewall will be unable to see what you’re trying to access and won’t be able to deny you access to the Minecraft site. Be wary with this option however, as Tor is widely known for its involvement with illegal and unsavoury practices and if you’re caught, it may cause you more trouble than it’s worth. VPNs are by far the most reliable tool when it comes to unblocking and accessing restricted websites. Not only are they brilliant at getting past firewalls, but they also hide your information and protect your privacy. By downloading a quality VPN onto your work or school computer, you’ll have the freedom to access whatever content you’d like, meaning you can install Minecraft without any hassle. You need to make sure that you opt for a premium quality VPN if you want to have some success with this endeavour, as Minecraft doesn’t allow users to play with an active VPN connection, so you’ll need a service that is able to navigate the complex system Minecraft has in place and stay undetected. Minecraft is a great program and doesn’t require any external software to connect up to a server. But you will come across some circumstances in which , your access to the site might be blocked. A lot of these issues have a simple fix, yet there are others that might be slightly more intensive. Inability to download Minecraft – If you are attempting to download through the Mac OS or Windows app stores, they could be blocked, so you may need to circumvent this by downloading from Minecraft’s site instead. Inability to access Minecraft.net – If you can’t download from the official site, your network is most likely blocking your access which is when a VPN is becomes very useful. 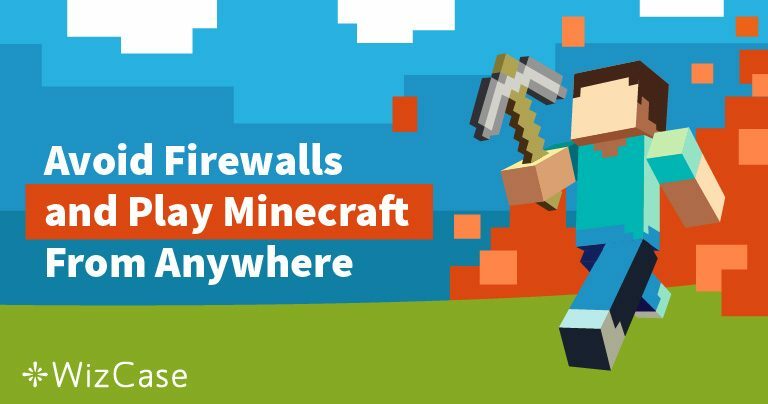 Inability to connect to the online servers – Your firewall prevents Minecraft from accessing the Internet. It’s also possible that you have blocked ports on the network. If you have access to the firewall, make setting adjustments or forward the port. If not, you can use a VPN to work around this roadblock. Inability to access Minecraft with a VPN – This is a common problem for people that haven’t invested in a good quality VPN or have maybe downloaded a free one. If the game detects your VPN, it will prompt an error message stating, “Connection lost – You seem to be using a VPN or proxy.” With one of our recommended VPN providers below, this simply won’t occur as they are some of the most premium services on the market. While all of those options are available to you, the best choice you could make is to unblock Minecraft with a VPN. Not only is a VPN helpful for gaming, but it provides many other benefits such as the power to change your virtual location and hide your true IP address. This prevents your ISP from collecting any data on you and stops any third party spying that typically occurs when you use the Internet. A VPN also works around blocked servers and websites, giving you access to content that would usually be restricted in your area. Your VPN connection serves as a private tunnel, sending all of the data from your computer through the tunnel where it is encrypted before travelling on to the Internet. Because your Internet traffic becomes encrypted, the network only sees randomized traffic and therefore doesn’t block access. Another reason Minecraft users like to utilize a VPN is to prevent DDoS attacks. A VPN also puts you back in the game without issue, if you were previously banned from playing. The only tricky aspect of employing a VPN on your school or work computer is that you need access to install it. To run a VPN, you must have admin rights on the local network drives. Because of this, you won’t be able to install the program from a USB stick. If you have access to all of your computer controls, then you’ll have no trouble, however, if you can’t install applications, there might not be a solution suitable for you. You can express a need for remote access to your computer files, maybe your family is going on holiday but you still want to work or you’re away sick from school and need access to finish off an assignment. This is one loophole that could grant you the small amount of control needed to download a VPN onto your computer. You could spend weeks evaluating all the VPN options that would work well with Minecraft, however, thankfully you don’t have to as we’ve already tested out the software for you. We’ve looked at numerous VPN services while taking the following aspects into consideration. When using a VPN, it will inevitably slow your Internet speeds down by roughly 10-20% because of the added layers of security and encryption. However, a good VPN will make a few tweaks in order to deliver faster downloads and lower latency allowing you to have a trouble-free Minecraft play. If you opt for a cheap or free VPN, there’s a higher chance that you’ll end up with a cap on the data you transfer. If you don’t mind the Minecraft game ending abruptly, then this isn’t an issue for you. Otherwise, you’ll want to hunt down the quality VPNs that are able to offer users unlimited bandwidth with no data or speed restrictions. Some VPNs block access to certain traffic, which can include torrents or P2P networks. The best VPNs don’t restrict what you do online and they won’t monitor the traffic either. That way you’ll be able to connect to your Minecraft game with the peace of mind that nobody is keeping tabs on you. If you want to remain private online, you can’t use a VPN that keeps logs. As data passes through the VPN servers, it’s possible for that information to stay in their systems which can be concerning if these companies have no problems turning over your data to government agencies upon request or even selling them to third party advertisers. To be safe, it’s always best to choose a VPN that doesn’t log user activity or information. It’s hard to beat NordVPN when it comes to unblocking Minecraft. Not only do they refrain from keeping any logs but they also employ the strongest encryption practices in the industry. Nord also allows P2P and torrent traffic and provides custom applications for most operating systems. It’s possible to connect up to six devices at the same time, and you have a 30-day money-back guarantee to ensure your happiness. ExpressVPN and NordVPN run neck to neck in many competitions for the best VPN and ExpressVPN is the clear champion when it comes to speed. They also offer many other benefits such as simple to use applications, tight security protocols, and provide superior customer support around the clock through their live chat feature. All of this is supported by a 30-day money-back guarantee, just in case you aren’t satisfied. With a no-log policy, strong encryption, and superior customer service, CyberGhost VPN is another great contender when it comes to unblocking Minecraft. The software allows seven simultaneous connections on a multitude of apps, so it is able to work with any operating system. They also provide a massive 45-day money-back guarantee, meaning you can try before you buy. 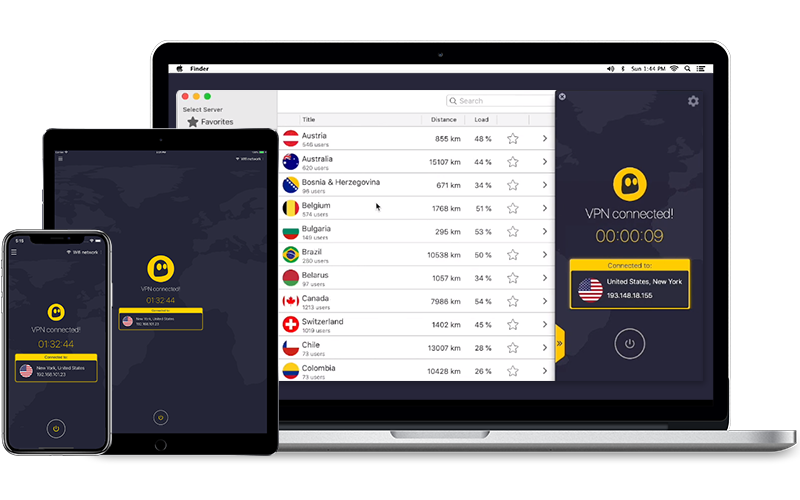 PrivateVPN might not be as widely known as the others on our list, but they deserve recognition because their speeds are fast, they employ strong encryption, and provide free remote help if you’re having trouble. With a 30-day money-back guarantee, you really can’t go wrong. It doesn’t really matter where you are; you deserve to play Minecraft without restriction. At school, work, or while traveling, gain access to Minecraft with one of our top VPN selections. You’ll have the privacy you desire online and the speeds you need to add more mods.